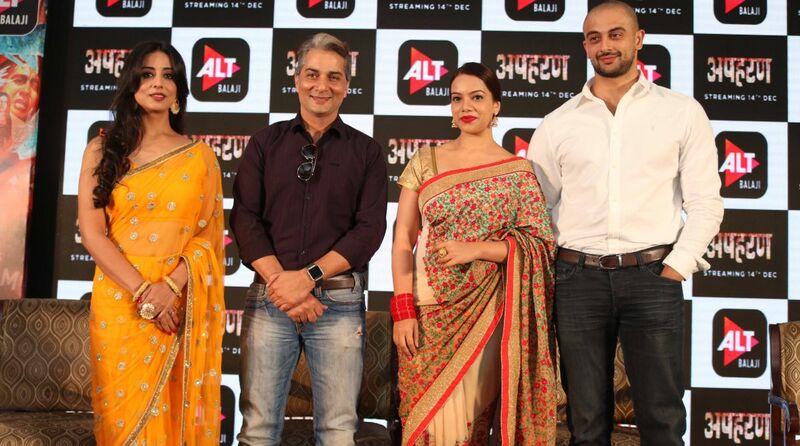 The 12-episode Apharan stars Arunoday Singh in the lead, along with veteran TV actor Varun Badola, Dev-D actress Mahi Gill and TVF actor Nidhi Singh. ALTBalaji is all set to bring a new web series. The 12-episode Apharan stars Arunoday Singh in the lead, along with veteran TV actor Varun Badola, Dev-D actress Mahie Gill and TVF actor Nidhi Singh who rose to fame with their iconic series Permanent Roommates. The series has been directed by Siddharth Sen Gupta, who had earlier directed shows like Balika Vadhu and Virasaat, while the dialogues have been written by Varun Badola himself. Music is by Subham Sen Gupta, who is Siddharth’s son. This 70s style masala series is the story of a wrongly convicted police officer and his fight for survival through kidnapping, a mysterious murder, desperation for money and betrayal in love. Describing his role, Arunoday Singh said: “I am glad to have got the opportunity to play the role of a cop again in my career. I loved essaying this rustic character and to be honest I had to really work hard to grasp the Hindi dialect. Apharan has an extremely intriguing strong storyline and spicing it up further is its pacy narrative. I am overwhelmed by the kind of response we have got for the trailer from the Delhiites. I delighted to be here and I am hoping that the audience likes our web-series as much as we loved making it.” The character of Arunoday Singh sports a proper Bhojpuri accent and with the rugged look of a 70s angry young hero. The show will be streamed on ALTBalaji from 14 December. Ye khel hai firauti ka, aur is khel mein sabka katega.